Close the Opportunity Gaps That Affect Student Achievement. We’re excited to announce the Educators for Equity Grant Program, a new initiative for helping teachers foster student growth for students who face systemic barriers to academic opportunities. This summer, we’ll be awarding grants up to $10,000.00 to educators from eligible schools and non-profits so they can better support their most important student growth programs, and help eliminate inequity in education. OEA can support members in creating their own learning community to work on micro-credentials through mini-grants of $200 each. The process is rigorous, so working with a group can help you earn your micro-credential sooner. WHAT: Classroom Innovators! Toshiba America Foundation accepts applications from teachers who are passionate about making science and mathematics more engaging for their students. Applications must be for project based learning, not for devices. WHEN: Grant applications for $5,000 or more must be submitted by May 1; applications for less than $5,000 must be submitted by June 1. WHAT: This program offers funding of up to $500 and the opportunity to design and implement a creative program for your school or library. From August 1942 until October 1945, thousands of Japanese Americans were incarcerated in the Minidoka War Relocation Center, located in a remote area of southern Idaho. Help us ensure that teens understand why this seventy-year-old episode in American history remains starkly relevant today. We are working on a series of short documentaries (ranging from 4 minutes to 60 minutes) about the experiences of those incarcerated at Minidoka – and about how their former neighbors and friends responded to their forced removal. To ensure these documentaries reach the widest audience possible, we are creating high school lesson plans to be used with them. All the materials will be available for free to teachers and the public once they are completed. We are currently inviting high school teachers to participate in online focus groups to identify what the documentaries, lesson plans, and activities should cover. Participants will be paid $100 for their time. Please help us spread the word. This project is being created by North Shore Productions for the nonprofit Friends of Minidoka. The Portland Art Museum is offering educators a 15 percent discount for one year and 30 percent discount for two years on all membership levels. Available online only. Enter the discount code EDU15 or EDU30. Proof of educator status may be requested at entry. For more information, go to http://portlandartmuseum.org/support/membership. As racism and xenophobia become more prevalent and overt in our schools and communities, it is more important than ever to listen to and elevate the voices, experiences, and history of our fellow citizens and communities under attack. To support the work that OEA and NEA members do to educate and organize around racial justice in education, To support these important efforts, NEA’s Human & Civil Rights Department has developed a resource site: Black Lives Matter at School. Here you will find stories detailing how educators and students are organizing for racial justice, resources from locals, school districts, & partners, and art and videos for members and allies to use to educate, engage and take action for racial justice in education. The goal of Black Lives Matter at School is to spark an ongoing movement of critical reflection and honest conversation in school communities for people of all ages to engage with issues of racial justice. Find stories, resources and ideas highlighting Black Lives Matter at School from across the country here. In addition to union-developed resources, grade-level appropriate lessons curated by educators and partners and stories highlighting member activism can also be found here. The art and multi-media resources on the page are essential components for awareness building, engagement, connection, and change for racial and social justice. The site is dedicated to lifting stories and resources from educator activists working for social and racial justice. WHAT: If you're looking for fun, engaging science resources, you're bound to find some useful ones here. Choose from lesson plans, as well as games, films and clips, and other interesting multimedia, online courses, interactives, toolkits, and much more. WHAT: A tool that allows you to create custom, single-sheet maps of any continent, country, or state. Labels can be added or removed to allow for knowledge testing, and maps can be emailed, printed, or shared on all major social media platforms. Requires Adobe Flash Player. Add Social Justice Texts to Your Classroom! I don’t remember many actual lessons from fifth grade but I remember hanging on every word as my teacher read “Where the Red Fern Grows.” For weeks on end I was terrified I’d get sick and miss a day in the life of those dogs. In fourth grade I sat in horror realizing the ending of Anne Frank was the closest I’d ever been to attending a funeral. Rows of children silently crying. A few, not so silently. That teacher may well have tattooed me because that book made an indelible mark on my life. Don’t even get me started on Charlotte’s Web. The literature a teacher chooses to share with their students is an incredibly personal thing. It is a bond between teacher and students that has impact for years to come. How do you pick the right book? Has the classic held up or has it become uncomfortable? Do you teach empathy through the pages of Charlotte’s Web or Wonder or Brown Girl Dreaming? And then there is that constant nagging question: Is the book you are about to invest several months in good enough? Is there something better? 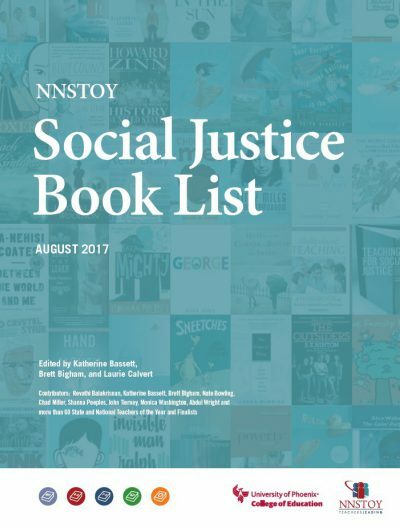 The need for guidance was so clear the National Network of State Teachers of the Year and I joined up to create the NNSTOY Social Justice Book List. Working with Katherine Bassett and Laurie Calvert we surveyed Teachers of the Year from all over the country to find out what books they were using in their classroom to teach social justice. We ended up with over two hundred books that had been vetted by our most recognized educators. The list is by grade level with an additional section of books for teachers themselves. 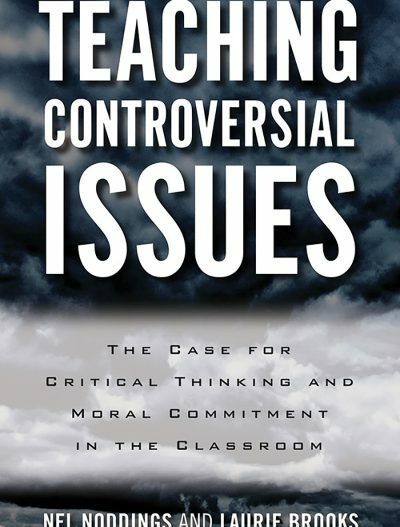 Now, whenever I am asked what books I would choose to support LGBT students or kids living in poverty or dealing with bullying and racism I can send them the link for the book list. How can we create classrooms where children historically positioned as “struggling” or “deficient” are able to participate fully and successfully? 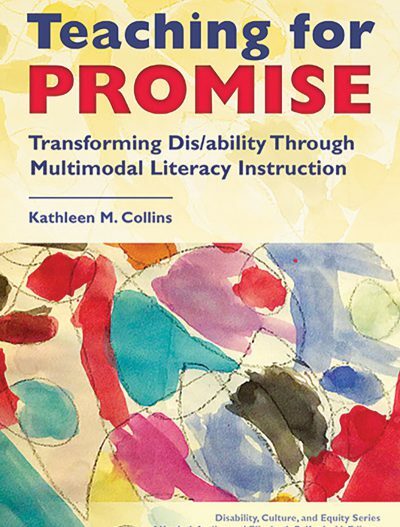 In detailed case studies, the author demonstrates how teachers integrated multimodal literacies and a sociocultural understanding of disability to inform their teaching and help students meet or exceed expected academic standards. This book offers specific, concrete strategies for addressing a variety of issues related to authority, religion, gender, race, media, sports, entertainment, class and poverty, capitalism and socialism, and equality and justice. The goal is to develop individuals who can examine their own beliefs, those of their own and other group with respect and understanding for others' values. 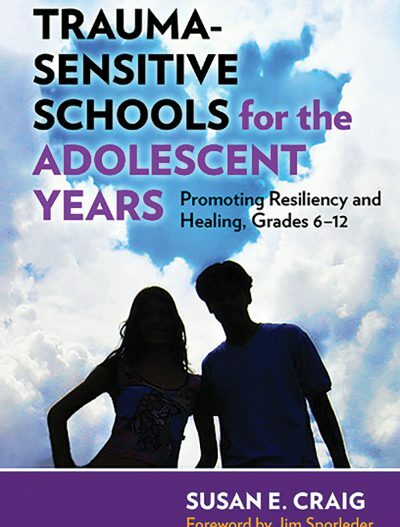 The trauma-sensitive schools movement is the result of a confluence of forces that are changing how educators view students’ academic and social problems, including the failure of zero-tolerance policies to resolve issues of school safety, bullying, and academic failure, as well as a new understanding of adolescents’ disruptive behavior. WHAT: For teachers who want to bring a social justice framework into their classroom, but aren’t sure how, Teaching Tolerance is here to help. From film kits and lesson plans to the building blocks of a customized Learning Plan—texts, student tasks and teaching strategies—our resources will help you bring relevance, rigor and social emotional learning into your classroom. WHAT: To make the most of the Internet, kids need to be prepared to make smart decisions. Be Internet Awesome teaches kids the fundamentals of digital citizenship and safety so they can explore the online world with confidence. WHAT: An educational grant program that provides financial support to teachers to purchase and maintain small animals in the classroom. The program was established by the Pet Care Trust to provide children with an opportunity to interact with pets—an experience that can help to shape their lives for years to come. WHAT: Make your classroom awesome by creating your own learning games with Kahoot! Upload your own set of multiple choice questions, add images and videos, and get playing! Your students play from their own devices, keeping them engaged throughout the lesson.